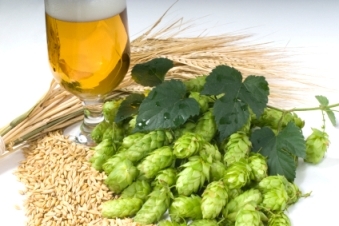 Vegetal off-flavors cover a wide range of potential problems in beer. These include corn, vegetables, cabbage, broccoli, garlic or scallion flavors and even the odor and taste of rotten vegetables. Each may have a slightly different origin. First we’ll cover the cooked or creamed corn off flavor which is also called DMS (Dimethyl Sulfide). This off-flavor is actually covered in a separate article on DMS here and is often caused by an insufficient boil. Scallion and garlic-like flavors are often caused by certain hop varieties in the boil such as Summit. Often a different hop variety can resolve this type of flavor. Excessive dry hop contact times can also result in some off flavors particularly those of a more grassy kind. Finally using old, stale or ingredients that have been exposed to moisture can also impart rotten vegetable or moldy off flavors to your beer. In many cases this will taste of stale or old vegetables. It can happen from spoiled hops, old or spoiled malt or other stale ingredients. Those are the main causes of vegetal off flavors in beer. Thanks for joining me on the BeerSmith Home Brewing Blog. Be sure to sign up for my newsletter or my podcast (also on itunes…and youtube…and streaming radio station) for more great tips on homebrewing.